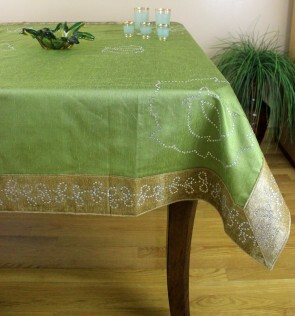 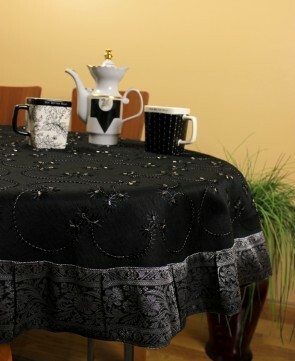 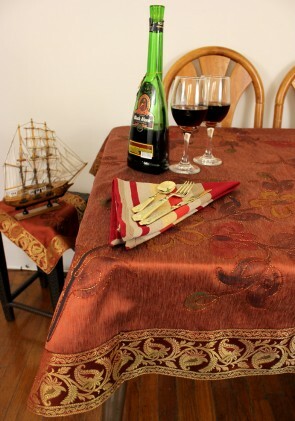 Browse our exclusive collection of rectangular, square, and round decorative tablecloths. 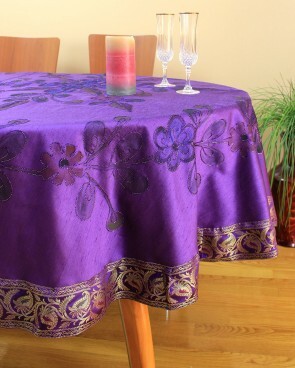 With an extensive selection of bold and striking colors, you can find hand painted floral and hand embroidered abstract designs. 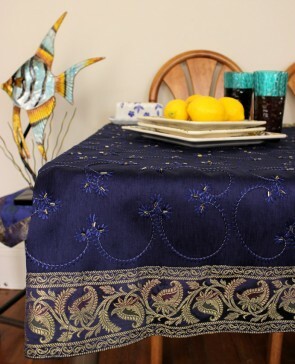 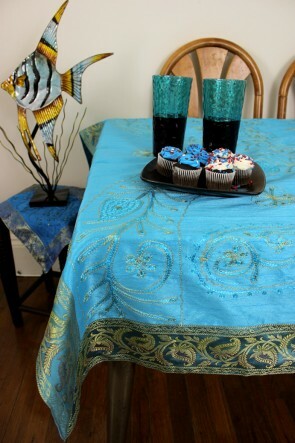 Our tablecloths are made of dupioni satin fabric; long lasting material which allows you to not only protect your table tops but also decorate your dining tables beautifully. 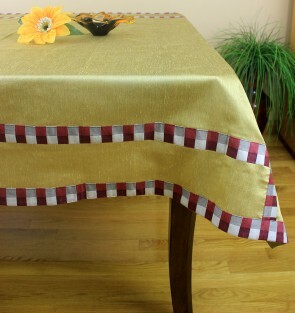 With a variety of available sizes, we can help you achieve a one of a kind look that best fits your décor.